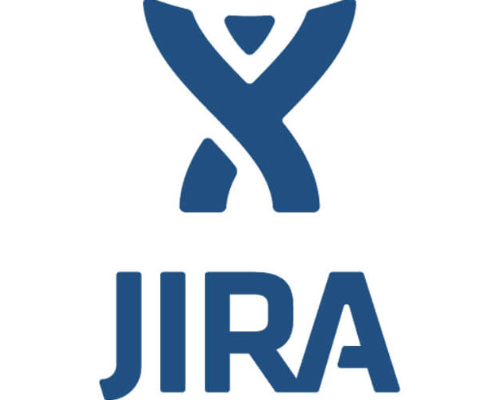 This plugin for Jira Service Desk allows you to search for devices by serial, name, etc. 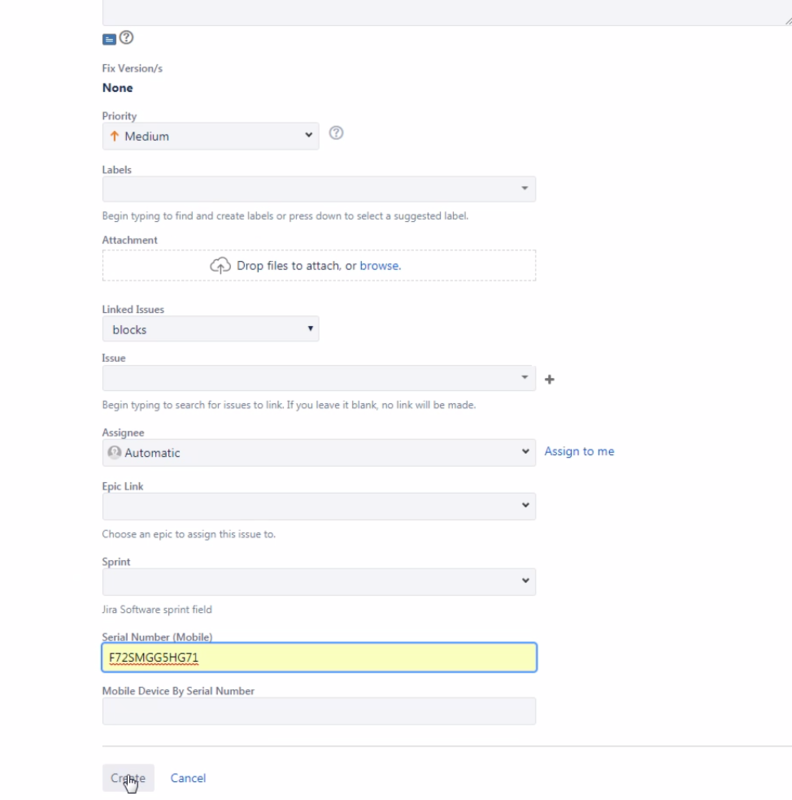 And if a match is found, display the device details in a new custom field in Jira. 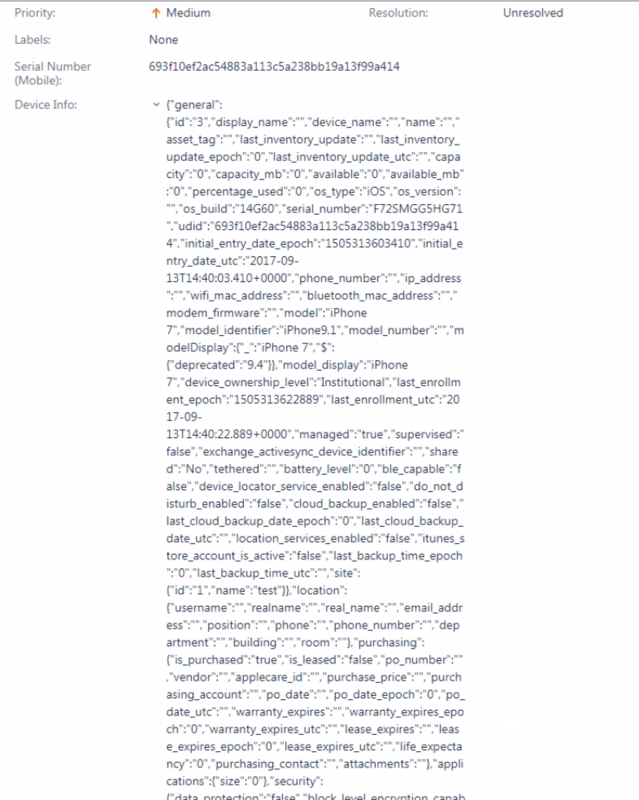 The data still needs a parser to be written for the device data.